Stamp This! : I Like You A Lotta! I Like You A Lotta! 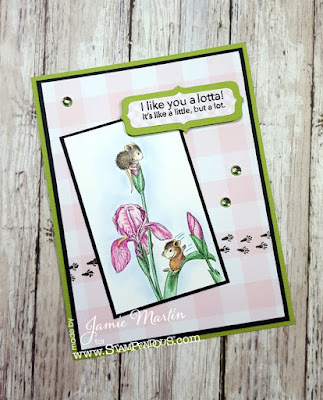 This week Stampendous is Blog Hopping with the House-Mouse And Friends Team! 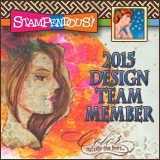 Click on the link below to the Stampendous Blog to see what the other Designers have for you today. Each Designer will pick one lucky commenter with a U.S. 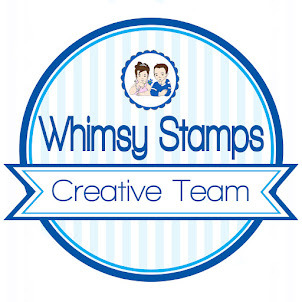 Address to get a prize from Stampendous, so comment and follow my Blog, you may be a winner!! 1. Stamp Iris Play on white cardstock with black ink, color with colored pencils and layer onto a black panel. Use blue decorative to shade around the image. 2. 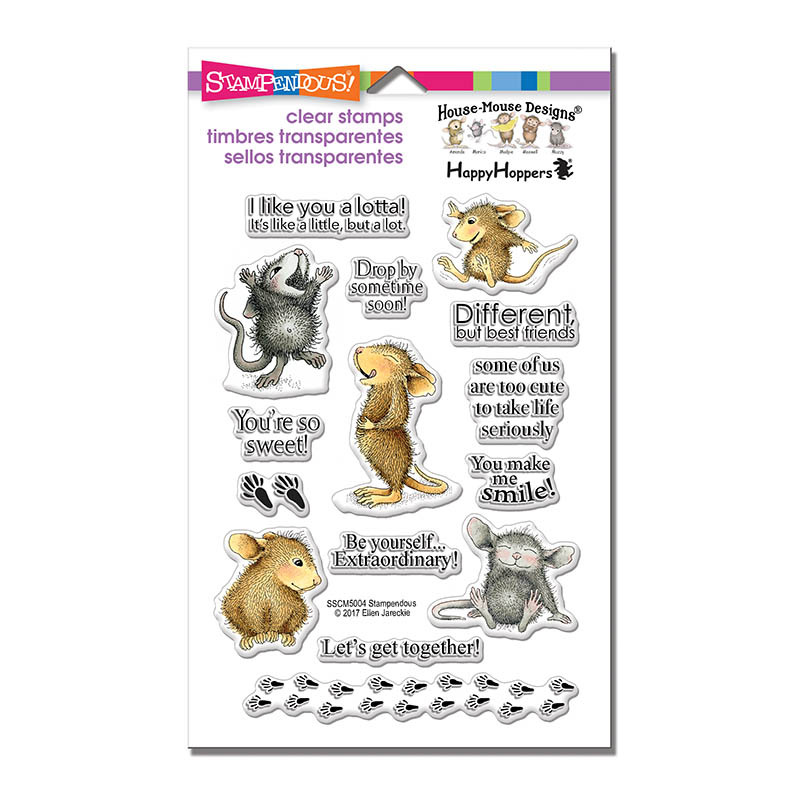 Stamp mouse prints from the House-Mouse So Sweet Perfectly Clear Stamp Set on decorative paper with black ink. Glue to a black panel then to a green card. Glue Iris Play diagonally to card. 3. 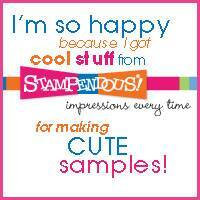 Stamp sentiment from the same set on decorative paper with black ink and emboss with Clear Embossing Powder. Die cut using Fitted Frames B Die Set then glue to a larger green frame. Pop up on card using foam squares. Wat een mooie kaart met een schattige afdruk. Adorable love the soft colors and the little mice tracks! THis is just darling! I love the colors and card design! Such an adorable card. Love the stamp and the way you colored it. How creative. Love how you added the mice to the iris! This is just pretty, I love your coloring!! Jamie, I love the delicate coloring and colors. The footprints look incredible, and are such a fun touch. 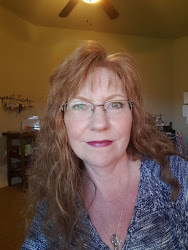 So happy you are joining us on our Blog Hop. The addition of the tracks and gemstones were excellent embellishment choices...love it! Love your card and the mouse tracks are very cute. Such a darling image! Love the House Mouse designs. 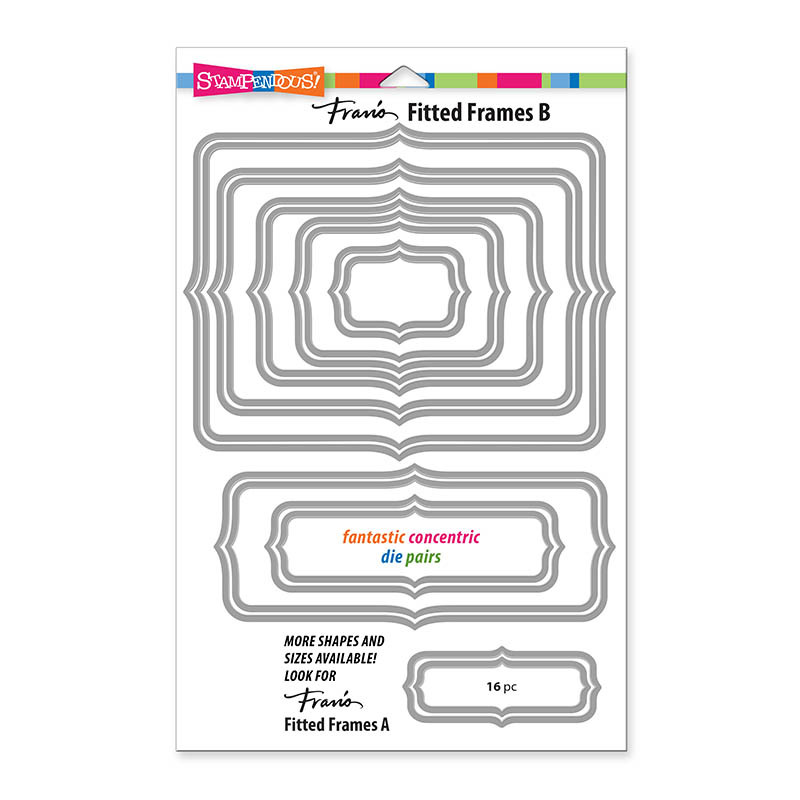 Your card is so pretty; love the gingham check pattern BG & the green you used on the label. Very nice! 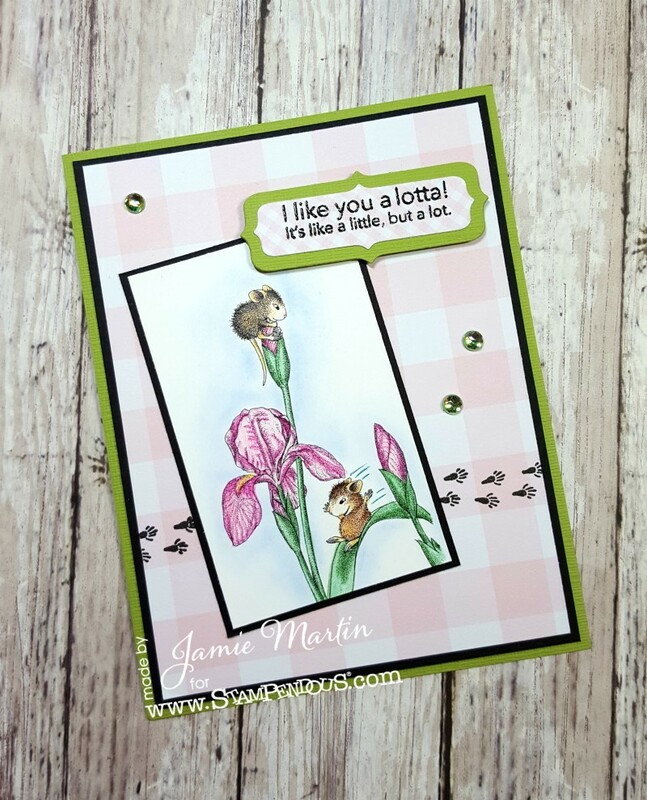 Hi Jamie how sweet is this darling image, VERY lol ..the gorgeous soft pinks & the sweet mouse prints great design very creative ..
Eeek! Gorgeously colored little HM scene! The highlights in your flower petals is amazing! What a fun blog hop! Hi Jamie, So cute. Beautiful card and stamp used, great skills in your colouring details.. Thanks for entering our challenge theme of "LOVE/VALENTINE" and good luck in the draw. This is so super sweet, Jamie!! Love it! The soft pastel colors are so perfect for a card of love. Thanks so much for sharing! Adorable card! 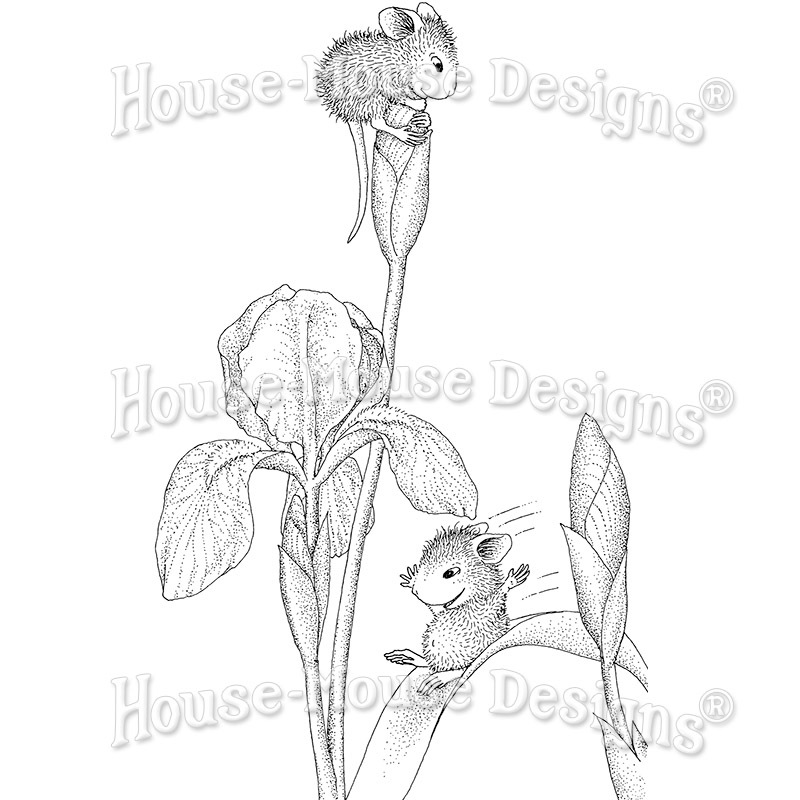 Love the mice playing on the gorgeous iris flowers! Oh how cute is this! I love the soft pinks and those mousey footprints are so cool! I love th beautiful coloring on the iris! This is a very pretty card with a fun design! Thank you Tamara I love bling! Be sure to follow my blog for an extra chance to win! Thank you so much Donna! Be sure to follow my blog for an extra chance to win! Ooo, I love those little feet running across! Cute stamps Jamie! What an adorable card, I love the softness of it and the sequins and the mouse footsteps. How can you. not love that card. Hi! Just found your site. 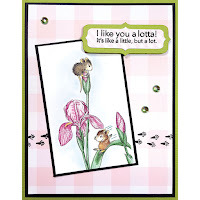 I love House Mouse Designs and your card is so cute with a snappy little sentiment! I’m in North Carolina. I am using my phone but I can’t figure out how to follow. I’ll try on my computer later tonight. Love the beautiful card. House Mouse stamps are some of my favorites as they can be used for any occasion by just altering colors and words. Those little mice footprints add just the perfect finishing touch too! I love House Mouse stamps!!! And this card is gorgeous!! I love the foot prints across the page! Beautiful. I must get this stammp. Oh my gosh ... that sentiment is delightful!! I've been eyeing that Iris stamp ... and this shows me exactly what to expect in the image size ... Love it! Love the design and colors and cute images on your card! Thanks for sharing! so cute. Love the mouse footprints. Super card, love the design!! I just love irises and this is so pretty colored up in pink! 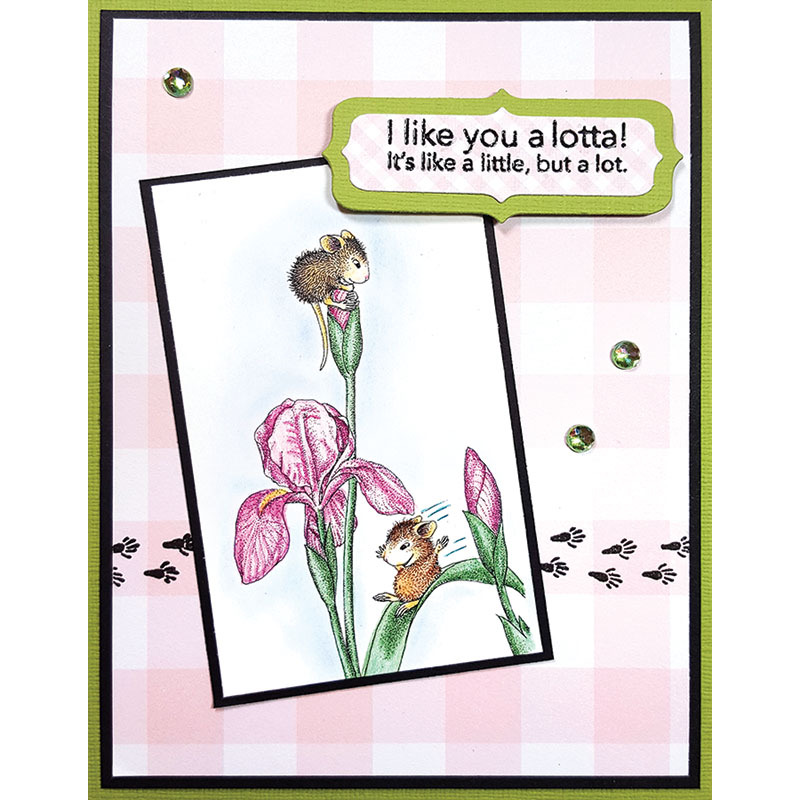 Your card is so gorgeous with the pink iris and papers. I love all of the different designs on the hop and your wonderful coloring technique. I'm a new blog follower and I live in the US. Your card is so pretty in those delicate colors. Lovely in every way. Thanks for the chance to win an awesome prize! I am a new follower. Beautiful card with a super sweet (new?) HM image, Jamie. Love the footprins. So happy you are joining us on our Blog Hop.